NASA's Cassini spacecraft captured this view of bands of bright, feathery methane clouds drifting across Saturn's moon Titan on May 7, 2017. The view was obtained during a distant (non-targeted) flyby, during which Cassini passed 303,000 miles (488,000 kilometers) above the moon's surface. Although Cassini will have no further close, targeted flybys of Titan, the spacecraft continues to observe the giant moon and its atmosphere from a distance. The dark regions at top are Titan's hydrocarbon lakes and seas. Two versions of this image are presented here, one with stronger enhancement (main image) and one with much softer enhancement (Figure 1). 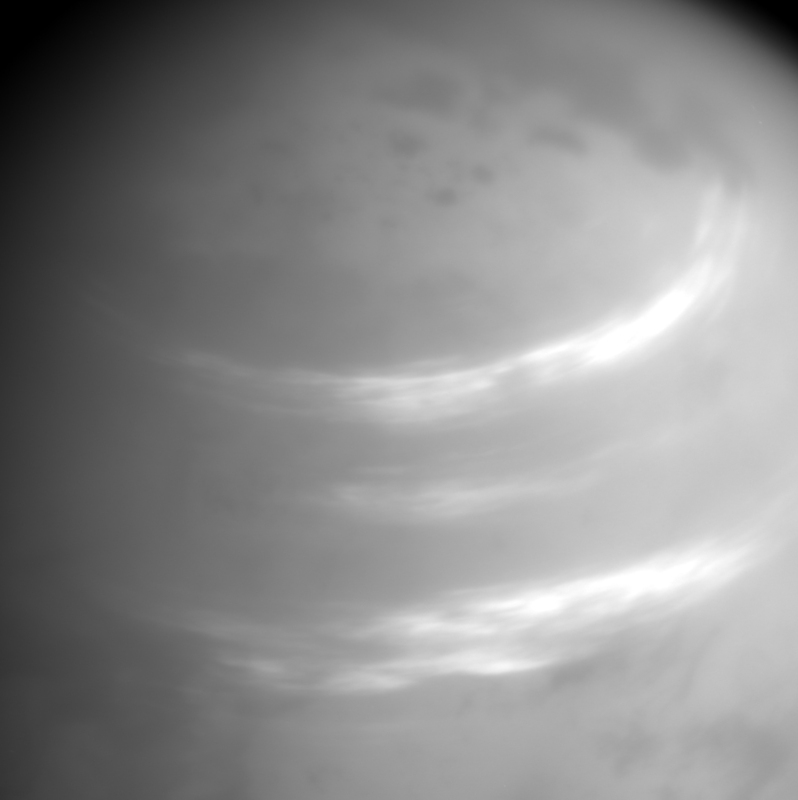 See PIA21610 for another view of these clouds.